You will find below some of the most frequently asked questions. But if you would rather just pick up the phone we will be delighted to speak with you. Why choose Blue Concept Training? Our clients tell us our training is incredibly effective, unique, engaging and excellent value for money. We are not the cheapest in this field but we are one of the best. All Blue Concept Training courses are quoted on a fixed price basis. You won’t get any nasty surprises when you receive our invoice. No unexpected mileage charges, accommodation or trainer expenses. The price we quote is the price you will be invoiced. What experience and qualifications do your training team have? 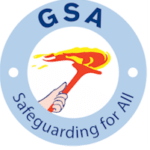 All our trainers hold GSA tutor status and a number hold a Level 3 BTEC qualification in handcuff and mechanical restraint. 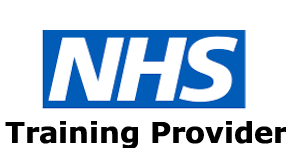 All the training team have either a training, managerial or clinical background, so we know what it is like to apply the skills in the workplace. How is the training measured and what are long term outcomes? Yes. Blue Concept Training’s VAT registration number is 806 177 432. This depends on the training course. Please contact our training course manager for details. What are the risks to participants who take part in physical skill training? All aspects of the physical training follow strict safety guidelines, safe environment assessment and health suitability scrutiny. At all times the safety of participants is paramount. Payment is due 14 days after the invoice issue date unless other arrangements have been made. Do you deliver in-house training? The majority of the courses you find on the site are designed to delivered in-house. In-house means that we will travel to your business premises or a venue that you have arranged, we bring all the necessary equipment and training resources so that you can sit back and relax. Please see our open course section for current courses offered to individuals on a delegate rate basis. Do you charge additional expenses? All costs are agreed before the training is delivered, no hidden extras. What level of fitness is required for physical training? Physical training courses require a general level of fitness. However, tutors will make reasonable adjustments to meet the learning needs of participants. All participants will complete a health screening questionnaire prior to taking part. No one who is pregnant will be allowed to participate in the physical aspects of the training.